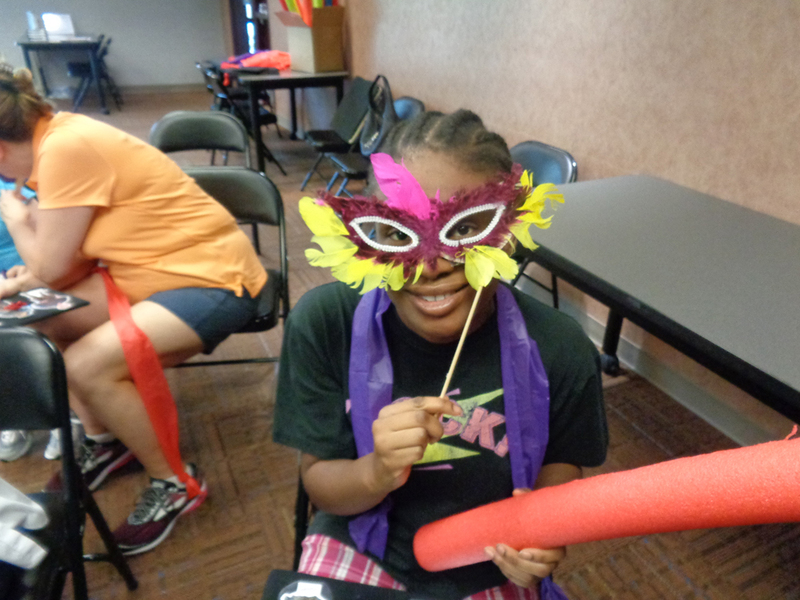 Gwinnett County Public Library’s ‘Social Saturday’ in the Spotlight! The most innovative projects begin with an open mind and the Gwinnett County Public Library’s ‘Social Saturday’ program is no different. The program serves individuals with severe and profound disabilities and began as an effort to provide a monthly social opportunity to a specific group of individuals who had aged out of the public school system and lost access to all of the state-funded resources that come along with enrollment. Since its inception in February 2018, ‘Social Saturday’ has attracted a steady attendance of fifteen to thirty individuals every month. Each session, attendees engage with an adapted story created and led by special educators along with the help of speech language pathologists. Stories such as The Odyssey, 20,000 Leagues Under the Sea, and Romeo and Juliet are brought to life through an audio and video enhanced presentation, tactile characters and props, and a creative usage of assistive communication technology. Attendees are also given a take home kit of related manipulatives and a CD copy of the presentation so that they can recreate the experience at home. Library staff prepares a simple craft to go along with the month’s story and strives to ensure that the materials are tactilely engaging. Patrons have made masquerade masks for Romeo and Juliet, personalized doubloons for Treasure Island, and sea creature filled portholes for 20,000 Leagues Under the Sea. The Gwinnett County Public Library has made real strides in its service to the special needs community over the past several years. Several branches offer regular Sensory Storytimes designed for children with sensory integration disorders, the Dacula Branch opens its doors early one Sunday a month for a Sensory Friendly Browsing Hour, and the Youth Services Department regularly engages with local advocacy and support groups such as Spectrum Autism and FOCUS. These efforts led to a partnership with Oakland Meadow school, a Gwinnett County Public School that serves students with severe and profound needs. Not only do librarians visit the school to sign up teachers and students for library cards and lead storytimes, a small group of Oakland Meadows students also visit their local library branch every week to volunteer. Oakland Meadows’ commitment to their students extends well beyond graduation with their Alumni Association. Given the Gwinnett County Public Library’s determination to reach traditionally underserved communities, the creation of ‘Social Saturday’ as a way to offer these graduates a monthly social event was a natural extension of the library’s ongoing outreach efforts. Judging from the sustained success of ‘Social Saturday,’ the program – and the library’s ongoing dedication to individuals with special needs – is here to stay. If you would like more information on how this program came about, don’t hesitate to contact Don Giacomini (Youth Services Specialist) or Patty Reeber (Youth Services Manager). Kennesaw State University Library System in the Spotlight! ©2018 Georgia Library Association, All Rights Reserved.